I recently had a fun doggie date with Susie's Senior Dogs aka Erin and her adorable senior, Susie. Erin started this amazing facebook page to promote senior dogs who are up for adoption. "Tallulah" was actually featured the same day I picked her up! The response was amazing and it makes me feel so lucky to have found her when I did. 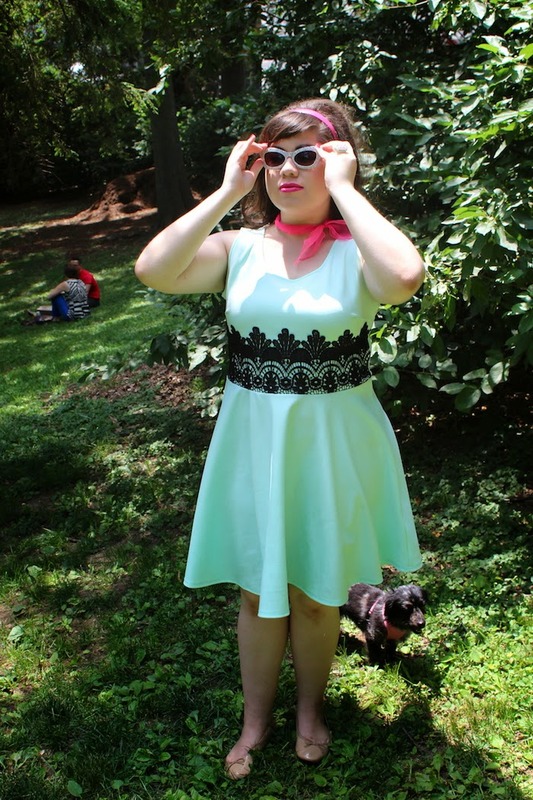 After our meet-up, Erin wrote a cute little feature that totally made me (and Tallulah) smile. 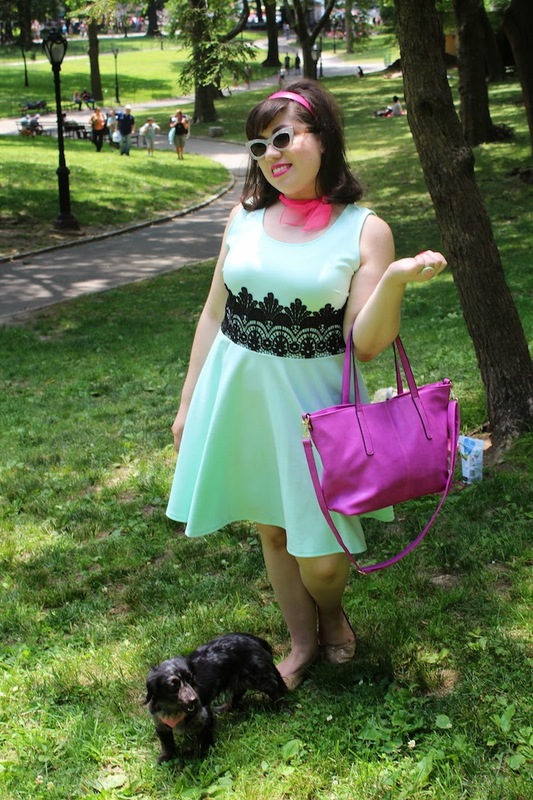 On a fashion note, plus-size brand, Yours Clothing was sweet enough send me this adorable mint dress and a cute pink bag, which I'm really into considering I have so many bags. The bag feels heavier than most non-leather options and I was surprised at the great quality. 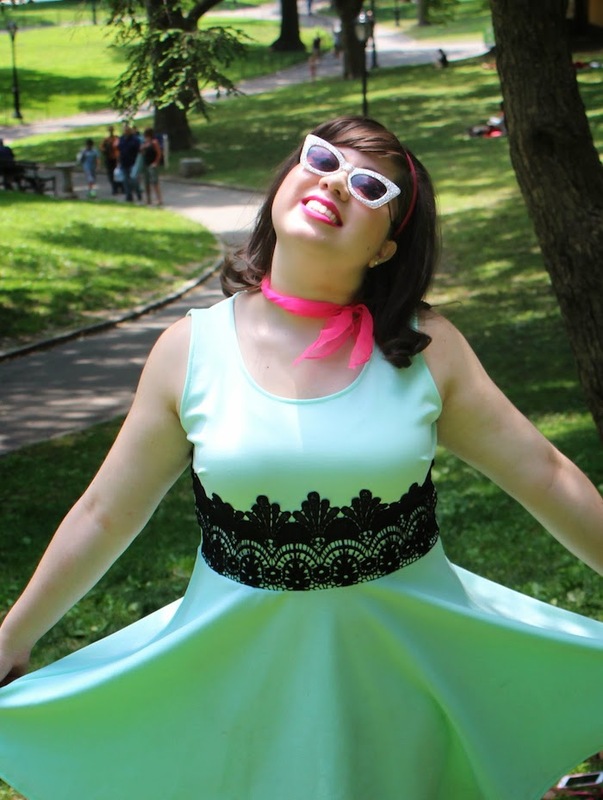 The dress was perfect for a lovely day in Central Park. They also sent me some super cute pjs with puppies on them, but that shall be for another day. The mint version might be out of stock now, but they also have a summery coral color. 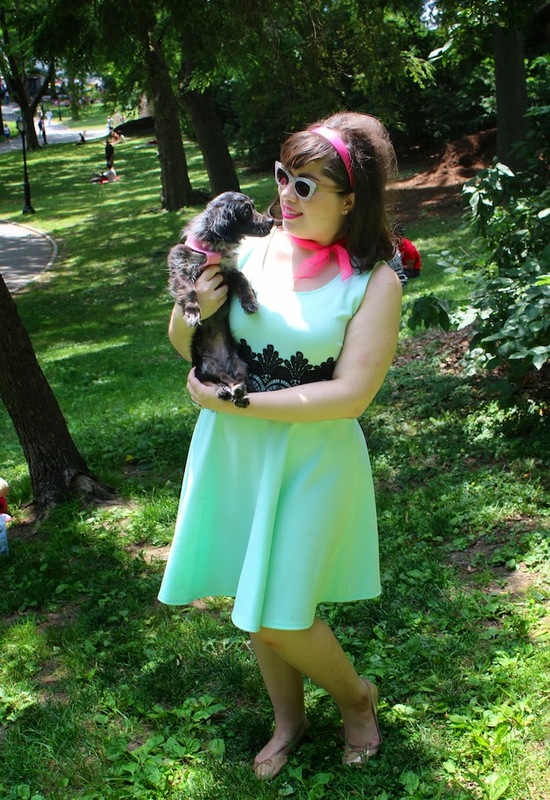 The dress I'm super obsessed with is this lacy one with a peter-pan collar. So pretty! A big thanks to this brand for sending me such quality items. If you feel like shopping this dress or the cute bag, head over to Yours Clothing and use this Twee Valley High coupon code: Kristina10. It's valid for 10% off $35 or more. P.S. I just noticed the bag is on sale, only $18! The code can't be used on sale items but you can always pick a dress to go with it. 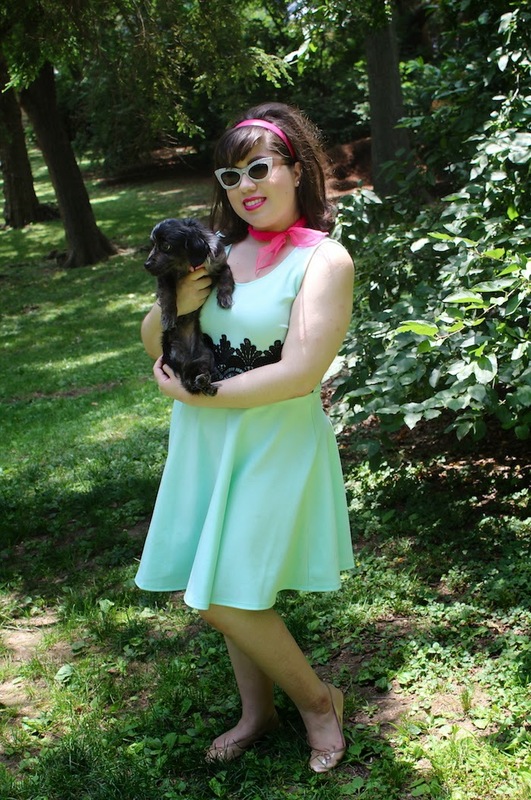 You look adorable, and I love that these colors match your blog ;) so cute!